From Circadian lighting to requirements for lighting on workspaces, WELL offers the best advice on how to enhance occupant wellness with lighting strategies. The recognition of lighting’s impact on wellness is gaining traction in the research community. While the fact that light impacts humans in a non‑visual way has been known and studied for generations, there is an increasing focus on trying to quantify the impact. Benefits that have been demonstrated through medical research include light’s ability to enhance alertness, to provide time‑cues to help with psychological awareness, to improve views (which have been demonstrated to provide multiple benefits, as noted earlier), and to have significant impact in spaces where the 24/7 environment of the occupant can be controlled. While it’s clear that lighting’s role in suppressing melatonin to affect a sleep/wake cycle is significant, the jury is still out on exactly how to quantify the impact. There are multiple metrics proposed by various research groups and other authorities, but the industry has not established consensus around one metric to be used. Likewise, the “dosing” of light — what kind of light, how much light, for how long, and at what time — is still to be settled. The most popular and prevalent current benchmarking system for designing and operating for occupant wellness is the WELL Building Standard. The first version of the standard has been alive and in force for about five years, with a second version out now in draft form. The WELL standard sets requirements in seven categories — Water, Air, Nourishment, Light, Fitness, Comfort, and Mind. Similar to other rating systems, there are a series of prerequisites (or “preconditions”) within each category, and available optional credits (or “optimizations”) that allow a project to increase its certification level to Silver, Gold, or Platinum. The Light features in the WELL standard reinforce the focus on occupant wellness and the ability of the space to meet the functional needs of the occupants. Preconditions include requirements to provide enough light onto worksurfaces and to manage brightness distributions within a space. Another precondition is a requirement to provide lighting at a level and color that, per the research cited by the standard, affects melatonin to help promote healthy sleep/wake cycles, termed the “Circadian lighting” feature. 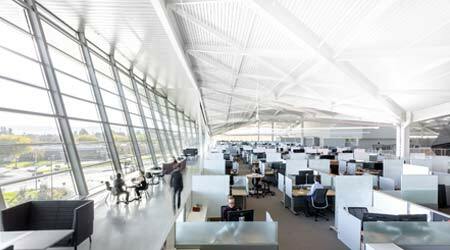 Optimizations include providing sources with high color‑rendering and low glare, providing access to quality daylighting with glare control, providing lighting control options to balance the lighting environment, and reducing glare from electric lighting. Additionally, outside of the Light section, there are a few locations where light comes up again — for example, to promote the use of stairs, the WELL standard encourages a higher light level than would typically be provided. The second version of the WELL standard brings shifts in its organization, adjustments to features, and the addition or subtraction of various features. The “Circadian lighting” feature is no longer a precondition, based on feedback that the feature was too challenging to be a precondition to certification. Additional features have been added, including a focus on reducing flicker from sources. While the second version of the standard is currently only in draft form, it is reasonable to assume that the final product won’t shift dramatically from the draft out today. How Does Lighting Choice Affect Occupant Wellness?